Warning – this story is frustrating, crazy, and 100% outrageously true. 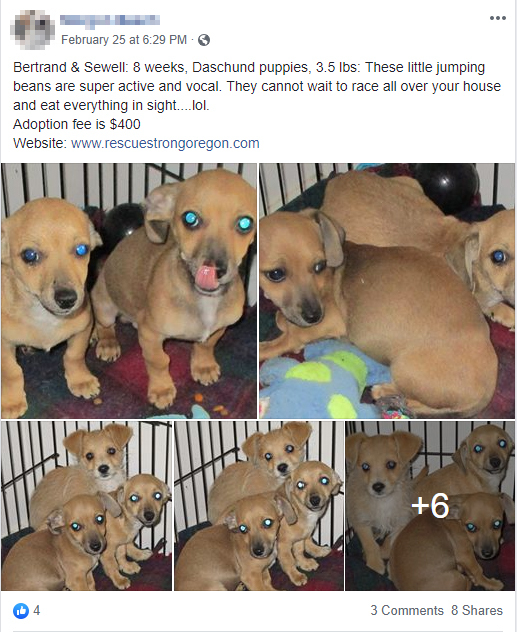 We recently found out that a rescue that has appeared on iHeartDogs.com before for some shady practices is in very, very hot water with the state of Oregon for a list of violations that is downright unbelievable. 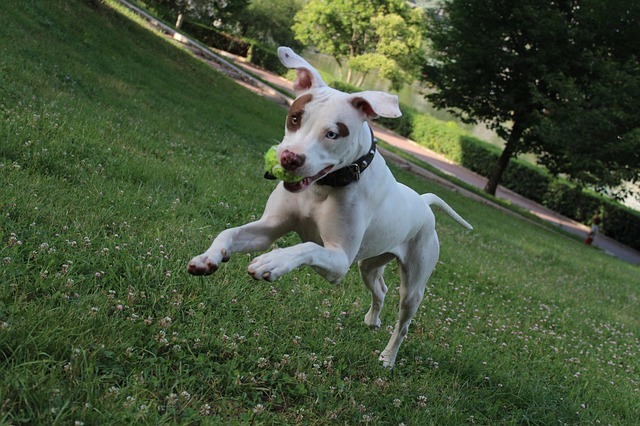 All Terrier Rescue (ATR) appeared in the news in late 2017 after refusing to return a dog who had gotten lost for a short time, claiming that the family who had adopted it was neglectful. It’s unclear if the family ever recovered their dog, but not long after other complaints came against the rescue. There are so many things wrong with this “rescue,” we’re going to put the important stuff in bold if you prefer to skim. Plus: puppies to keep your blood pressure down while reading. Multiple complaints from angry adopters came out against them around the same time the story about the lost dog hit the news. People claimed that when they attempted to adopt a dog they were told they’d have to foster first. 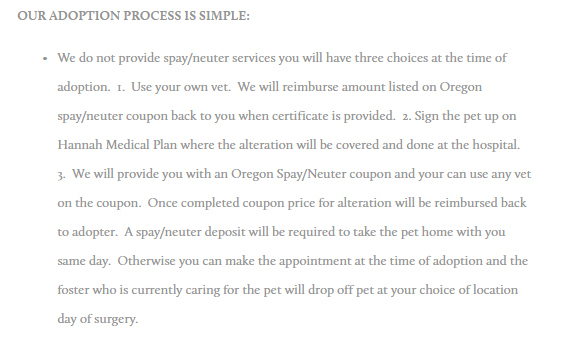 Fostering required signing a strict contract and paying the rescue a fee of as much as $350. If you broke your contract you could say bye-bye to both, your foster dog and your cash. The problem was that you could break your contract for doing normal, responsible dog-ownership type things. One person claimed that the dog she wanted to adopt but was forced to foster got sick shortly after she brought her home. When she contacted ATR about it, they told her to take the dog to a hospital nearly an hour away from her home or pay medical expenses herself. She agreed to pay the cost and planned to take the dog to a more convenient veterinarian, but was then told by ATR to take the dog to an unknown home for treatment. In the statement filed with the Oregon Department of Justice, the foster says she felt trapped. Another hopeful adopter/forced foster claimed a similar story – she had taken her dog to a local vet instead of driving an hour to the home of an unlicensed veterinarian as she was instructed to do by ATR. Her dog was taken from her as well and her forced donation forfeited, but the dog was later returned after she gave a second “donation” of $300. Complaints like these were gasoline to the dumpster fire that was All Terrier Rescue. The state of Oregon opened an investigation and found so many violations it’s insane. In October of 2018 Attorney General Ellen Rosenblum submitted a 20-page complaint against the people responsible for All Terrier Rescue (ATR) and their second organization, Rescue Strong Oregon (RSO). And it’s a doozy. All Terrier Rescue had been in business for nearly 20 years, founded by Jeri Miller and her daughter, Samantha Miller in 1999. They filed for tax exempt status and ran as a 501(c)(3) rescue for years. In 2006 the Department of Justice found that there were only two directors on the board – Jeri and Samantha – though the state requires a minimum of three to operate a nonprofit. A third was later added, but when questioned by authorities, she couldn’t tell them what her role within the organization was, or what her duties were. From the beginning, Jeri and Samantha kept no financial or accounting records and had the rescue’s money mixed up with their own. Investigators found that they had used money from their non-profit rescue to pay bills, buy groceries, personal vehicles, and even a house while falsely telling adopters that all adoption fees were 100% tax deductible. The Department of Justice handed their findings over to the IRS and in 2008 ATR lost their non-profit status. However, in 2013 ATR recieved a letter from the IRS stating that they had been a non-profit since 1999, which didn’t mention the incident in 2008. The Department of Justice believes the letter was a mistake, but ATR continued to operate as a non-profit anyway. All Terrier Rescue did not have an official facility. Most of the dogs were kept at Samantha Miller’s home – often, more than 50 at a time. Neighbors complained about the smell and noise coming from her home. She applied for a kennel license but was denied for multiple reasons, including health and welfare violations, zoning violations, and being inconsistent in saying why the dogs were there. She once claimed that all 53 dogs in her home at the time were her personal pets. She attempted to appeal but was denied again immediately. That did not stop her from keeping pets in her home. Potential adopters were never allowed to see where the dogs were kept, and were asked to meet in public – often in parking lots – and to bring cash. If that sounds sketchy, it’s because it TOTALLY IS. When brought before a court Jeri and Samantha claimed that it was right for them to take funds from the rescue for living expenses since most of the dogs are kept in their homes. When an inspection of Samantha’s home was requested, where most of the dogs are kept, she refused, saying it was private, personal property. 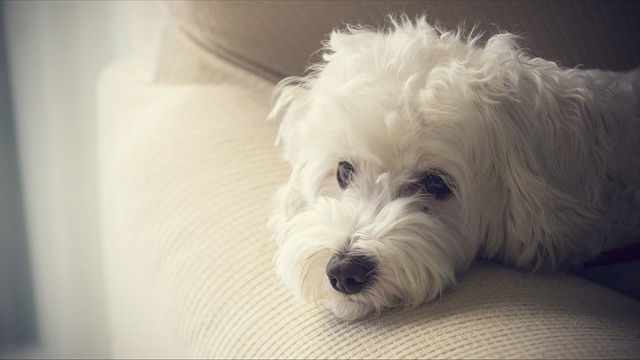 To keep a license, animal rescue organizations keeping 10+ animals are required to submit records for every pet in its care and allow inspections of its property. ATR refused to do both or only submitted partial records. When the request for documents and an inspection became demands, Jeri and Samantha attempted to dissolve All Terrier Rescue. They claimed there were no assets and we wish that was where it ended. It is not. Tori Head filed the documents to register RSO as a for-profit instead of a nonprofit, which was said to be a mistake. She also filed the documents with false information, claiming that RSO was run by a woman named Morgon Beach – an alias used by Samantha Miller. They also used a vacant address that had once belonged to an animal hospital, but did not belong to them. The animal hospital claimed that they had worked with ATR and RSO, and were familiar with both Millers, but had never met Tori Head or anyone named Morgon Beach. RSO later tried to use LegalZoom to get the status changed to a nonprofit. “Morgon Beach” was the person communicating with LegalZoom to work on the issue, but it was Samantha Miller who paid them. The lawyer who represented ATR was listed as their agent, but when he was summoned to appear before a court for RSO, he claimed he had nothing to do with that organization. 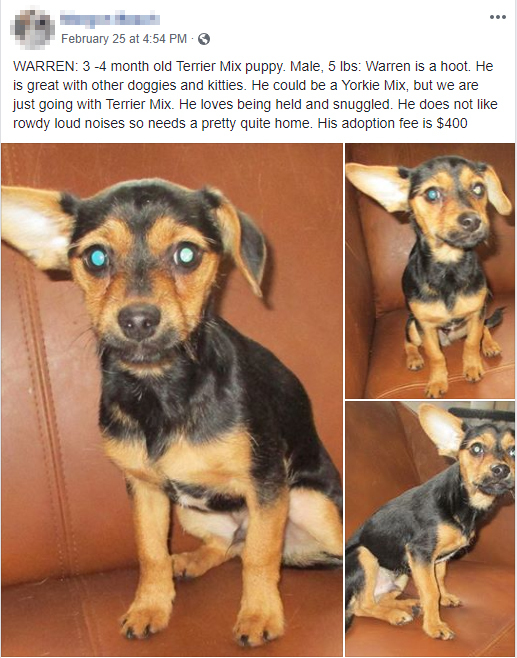 Rescue Strong has been making false claims to their potential adopters too. Aside from using the word “rescue” in what is clearly just an organization selling dogs, they also falsely claimed that Tori Head is a certified veterinary technician. Though she was trained as a veterinary assistant, becoming a certified vet tech requires more education and training than she has. RSO also claims that Samantha Miller is a licensed animal behaviorist and trainer, but she has never actually held any such certifications or licenses. 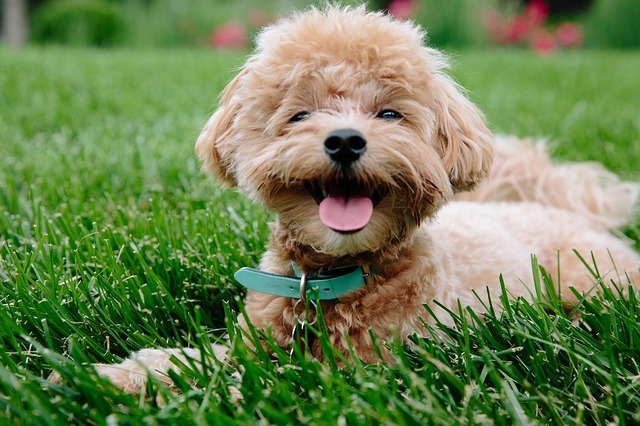 Their website states that the dogs come unaltered – no spays, no neuters. Adopters are expected to pay a deposit for their dog, take him to a vet at their own cost, and return for some reimbursement. But what’s to stop a wannabe breeder from just leaving their dog intact? They stand to make a lot more selling puppies than what they’d get on a refund for a spay. RSO should know exactly how much one makes selling pups. It also begs the question: where are they getting their dogs from now if they’re unaltered? The Attorney General also says that though RSO claimed that all adoptable dogs were fully vaccinated, many were found to have been sick or missing vaccines. Often, Rescue Strong Oregon couldn’t provide proof of vaccinations. This isn’t all of it. There are also financial discrepancies where thousands of adoptions they claimed and the revenue they said they received just doesn’t add up. Not claiming a salary yet taking money from the rescue, and claiming no revenue for years, then, suddenly thousands in one year. Etc. The complaint was filed in January 2019, with the hope that Rescue Strong Oregon will be dissolved. 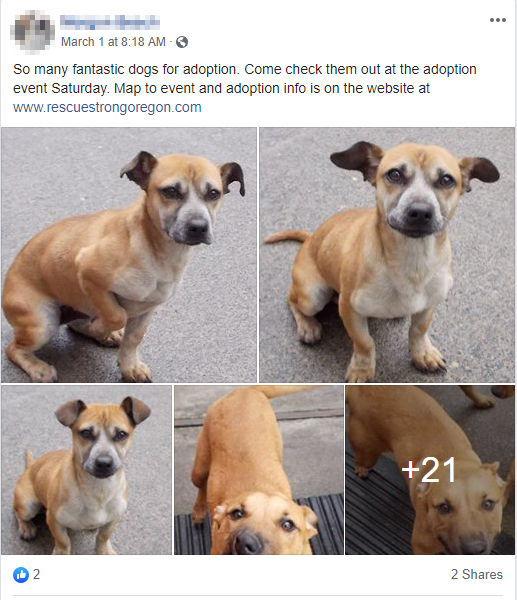 But so far, RSO continues to operate and is outright selling dogs on a Facebook page I will not name here. The dogs are sometimes shared just to the page (which, at this time, is public) or sometimes posted to Facebook Marketplace. This is not how a legitimate rescue operates. Keep your fingers crossed that the state of Oregon can resolve this issue soon. Let us know what you think about this situation on Facebook.